Do you think of choosing right floor material for your house? What do you know about engineered hardwood? What is the difference between engineered wooden floor and other wooden floor materials? It is time to make everything clear to find out all pluses and minuses. Wood is one of the most preferable materials for making floor. The modern world is mostly made of synthetic materials to be easy to use and clean. Thus, people try to employ natural materials in their life. Natural materials are considered to be the healthy and attractive for house building. There is nothing to be better! Science new technologies think of improving wooden materials to make them live longer. It is possible to create new improved products by combining everything the best from the modern civilization. 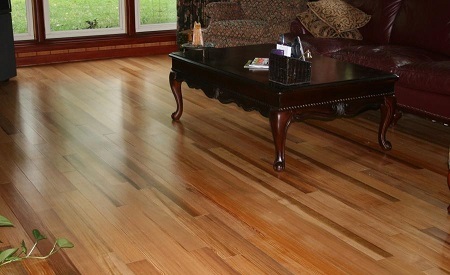 Engineered hardwood is one of those amazing materials that you can buy at any professional shop. This is a new interesting decision that is especially attractive for everyone who likes high quality, comfort and good appearance. Of course, it is all about the engineered hardwood. 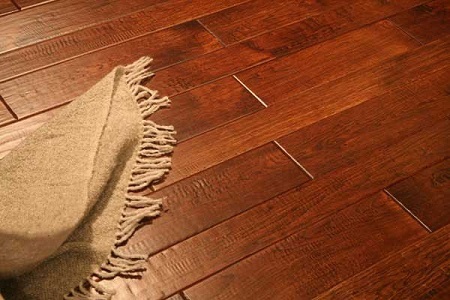 The history of wooden floor is interesting. It was masterfully combined all qualities that are characterized for wooden floor and modern design. What is the secret of it? Why do you want to buy wooden floor? You can easily answer these questions from the article below. Let us start from the position that engineered hardwood is usually called two-layer or three-layer wood, depending on its structure. Thus, engineering board consists of many layers. The lower layer is solid high-density plywood or other wooden material. So, there is no need to put additional plywood layer on the floor. There is plywood in the board structure. The engineered floor must be fixed by special glue. The engineered hardwood looks like massive wooden floor by material. The floor looks elegant, attractive for all interior materials. Speaking about strength, engineered wooden floor is much better and reliable than massive wood floor or parquet floor because of additional plywood layer in the bottom. The second layer is not solid by structure. Moreover, it is organized to make engineered floor hard and strong floor covering. Its main principle is: multilayered plywood that is made of modern polymers consists of 7 or more thin layers situated perpendicular to each other. Three-layer boards are usually called engineering massive wood because it consists of three layers of natural wood. The construction principles of engineered hardwood are almost similar to two-layer boards. It means that medium layer is situated perpendicular to the upper layer. All layers are pasted to each other. Traditionally, the engineered board is 15-25 millimeters thick, 500-300 millimeters long and 60-250 millimeters wide. Why Do You Choose Engineered Hardwood? To answer this question you have to compare engineered wooden floor and other variants. Actually, it is classified as the type of parquet wooden floor. So, it must be compared by characteristics just with massive wooden boards and parquet boards. As it was described before, engineered board consists of two or three wooden layers. Parquet is usually made of OSB and wooden layer on the top. The parquet face layer is 0,4 centimeters thick. The face layer of engineered board is 1 centimeter. It is very important fact to consider while restoring or renewing the top layer of your wooden floor. The main advantage of engineered floor of two or three layer is easiness to use. You do not need to put the ground layer (under floor layer) under the boards. This is a great chance to save your money. The engineered floor is stable material. It does not react to high wetness and up-down temperature. You can find many different stories about engineered wooden floor. If the room were watered, the floor was in a good condition without any deformations. Is not it a great new? In short, engineered floor is really very hard and strong. Of course, this is not a budget variant. Nevertheless, engineered wooden floor, two or three layered, is easy to use and easy to take care of. It is enough to lacquer it. The engineered floor is the best decision for your house as you can do monolithic floor in every room. You do not need to put carpet stripes. If you need to сross the wooden floor with tiles or other floor material it is enough to use cork balance tabs. The engineered boards are different by sizes. This is a good choice. You can find that particular board for your concrete room. Unlike parquet boards or massive wooden boards, engineered floor give you wide opportunities to make your floor special. Thus, you can choose floor not only by size, but texture, color, tone. For example, thin engineered boards are perfect for under floor heating. Think about it! The engineered floor and massive wooden floor look exactly the same. Just specialists can differ them. Moreover, you should consult specialist to choose what kind of floor is the most attractive for your house. So, your floor looks stylish and reliable. So, most important advantage of the engineered floor is its strength. This quality is important for many clients. You should know that engineered floor is much stronger than massive hardwood and parquet boards. You may ask to anyone or google to find the professional opinion: engineered boards are the strongest wooden materials. Have you any doubts? You may make an experiment. Try to break the massive board, parquet board and engineered wooden board. Of course, the first material you broke was parquet. Massive wood holds the next position. What about the engineered hardwood? Is it possible to break it? You should try to realize that your floor has to be not only stylish and good-looking, but comfortable, safe and long-living.